Lots of changes are happening with Skårt this month. The new blog name is just the start of big things to come. Stay tuned! And if you really want to stay on top of things, enter your email address below and new posts will be sent straight to your in box. I have a great product at a reasonable price point. I work hard, and I put a lot of love into what I do. Great! Now what? How do I let you (well not YOU, because YOU are reading this blog, so YOU may already know) But how do I let THE WORLD know about ME? I run my business on a minimal (aka non-existent) marketing budget, I've been thinking a lot lately on what is the best way to get the word out about my work both as an artist and as a set designer? It's hard to sell yourself. Nobody likes a showoff or a bragger, so how do you promote your art, business or career without feeling silly or annoying? Blogging - I hope by writing this blog I carve out a little bit of a web presence. 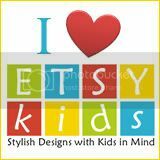 If someone is searching for "Preppy Nursery" there is a chance it will link back to a post like this. It is a great forum for me to talk about my work in general but not have to address anyone in particular. I would also love to explore the idea of guest posting. I think with my background in production design and knowledge of art I would have a lot to offer as a guest blogger. Unfortunately, I got consistent C's in English Writing class. I am not a very good writer. I have been told that commenting on other blogs is a good way to promote yourself but you should have something interesting to say, and NOT shamelessly just write comments for the sake of commenting. However because of the title of this post, feel free to post any comment today! Social Media - I have a Facebook page. I update it, and it is steadily, but SLOWLY growing in fans. 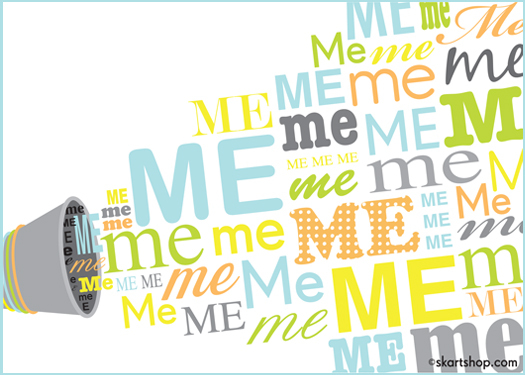 If you are not already a fan click here, and "Like Me"(was that a little shameless?) Next step Twitter --- People tell me I need to tweet, but I still don't understand it. Do you tweet? Can you explain it to me? Friends and Acquaintances - here is where you need to be a little bit shameless. I was told at dinner the other night that people generally like to help. It makes them feel good, so you should always ask. I am around celebrity stylists all the time. This weekend was the first time I worked up the courage to ask one if they knew any celebrities who have babies or are decorating children's rooms. He was so excited to take my cards and (hopefully) pass them on to a few clients I wondered why I hadn't done this before? A celebrity endorsement would be a great marketing opportunity. I need to start telling more people what I do. They may not be interested in my work, but they may know someone who is. Giveaways - I see this done on other blogs. I'm not really sure the logistics of it. Does it work? Everyone likes free stuff but does it really help to give things away? It is not a huge monetary commitment, so I may just have to test it out one of these days. Is it better to do the giveaway on your own blog or find a bigger blog out there with a bigger audience? How do you promote yourself? Leave me a comment and let me know some ways you have thought of marketing yourself without spending a lot of money. 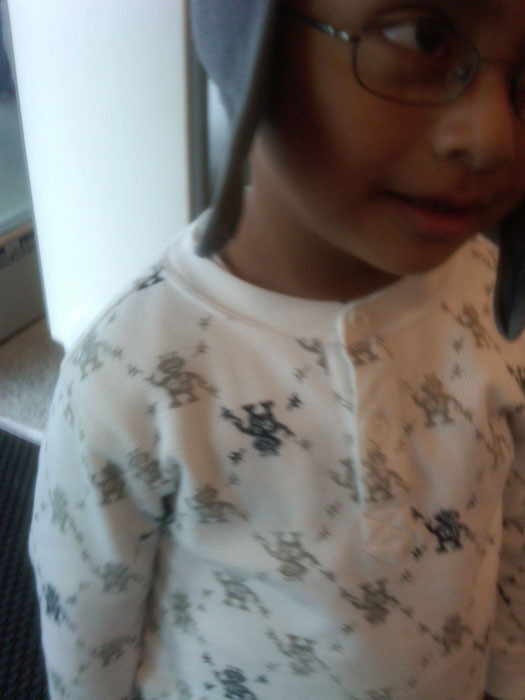 I was in a shopping plaza the other day when this adorable little boy ran past me in an adorable little shirt. 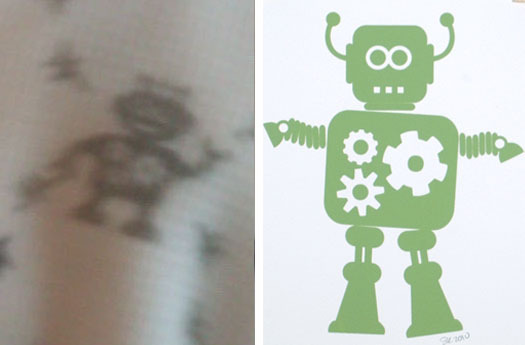 I noticed the shirt because it had the cutest little robots all over it. And as I got closer I realized that they looked an awful lot like MY robots printed all over his shirt. Could it be? Did someone at Sears see my robots and make their own version? Or is this just what robots look like, and a total coincidence that it looks like one of mine? What do you think? Copy or Coincidence? Sorry for the blurriness. I only had my phone with me, I asked the mom permission if I could take a picture. I was so flustered, freaked and a little bit flattered (after call copying is the sincerest form...) that I was probably shaking when I took the photo. As I look now at the picture and my robot, I realize that there are enough differences and that it is just a coincidence that the robot resembles mine in colors and in shape. Although, I still like to think that I inspired someone, somewhere. I've been giving you sneak peeks at the elephant panels I've been working on. I am proud to announce that they are finally up and ready for purchase. Visit Skårtshop.com to take a look. They are meant to be hung as a set but they were also designed to work as individual panels. They are available in select color options but as always I am happy to work on a custom color to match your decor. If you are in the L.A. area you can see, touch, feel and buy them in person in the baby section at La Bella Cosa Store in Culver City. 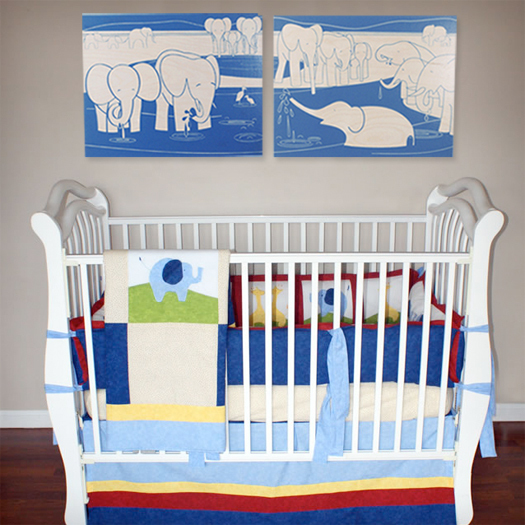 10% of each online sale of Bathing Elephants will be donated to the David Sheldrick Wildlife Fund. Since mother's day is over, here is a little something to help remind yourself on the other 364 days that everyday can be special when you are a mom. 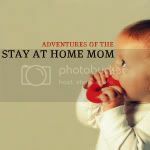 Go over to OH MY HANDMADE GOODNESS.com and download this free print of How to Really Love Motherhood by Jessika Hepburn. And for your (or our?) 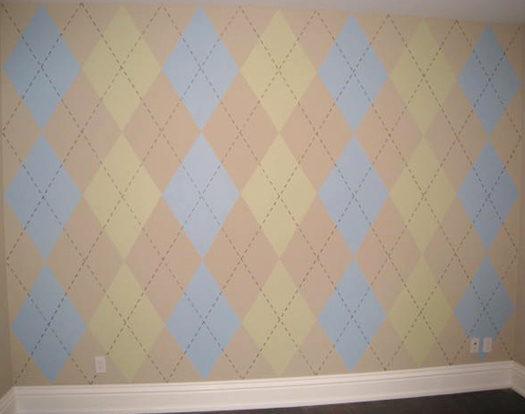 amusement, we made a little Time Lapse Video of the whole DIY Argyle wall process. Amazing how fast and easy things look when edited down to 35 seconds. Thanks to Jay Lee for putting it together and adding the music.